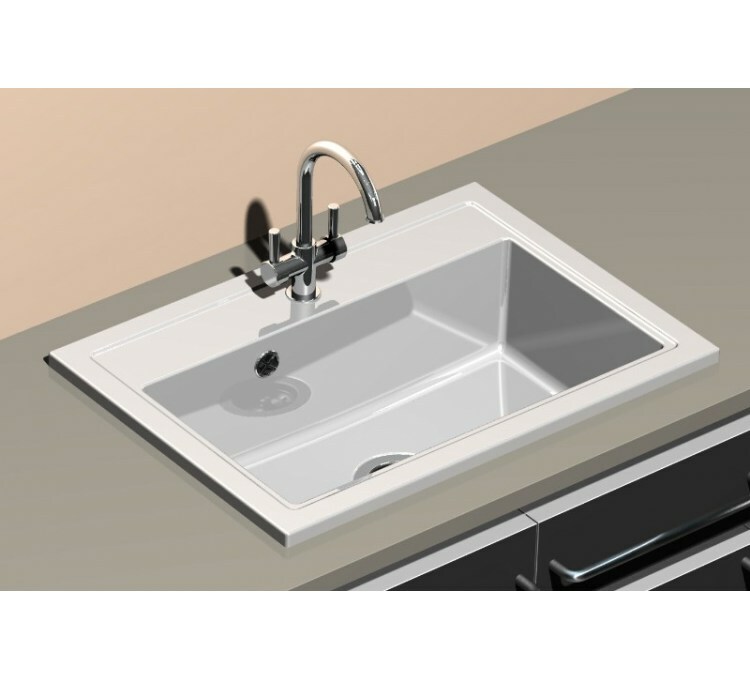 We offer the Pinacle White Timbre d'Office Sink by the famous French group Sarreguemines. It has a very clean design combined with a moderate size and a white color for optimal integration within your kitchen. Made of ceramic, it is very resistant to wear and chemicals. This product consists of a very large tray. Sarreguemines, the French company specializing in the manufacture of luxury sinks recognized for its seriousness and the quality of its products, presents you the ceramic sink built-in Timbre d'Office Pinacle White with 1 tray. It is distinguished by the sobriety of its design, which however remains elegant, and its white color that will allow it to integrate very easily in your interior decorations. Entirely designed in ceramic, it is very resistant to wear and the effects of chemicals, it effectively retains its original color. It is finally very easy to maintain. Product sold with automatic draining system, valves not supplied. 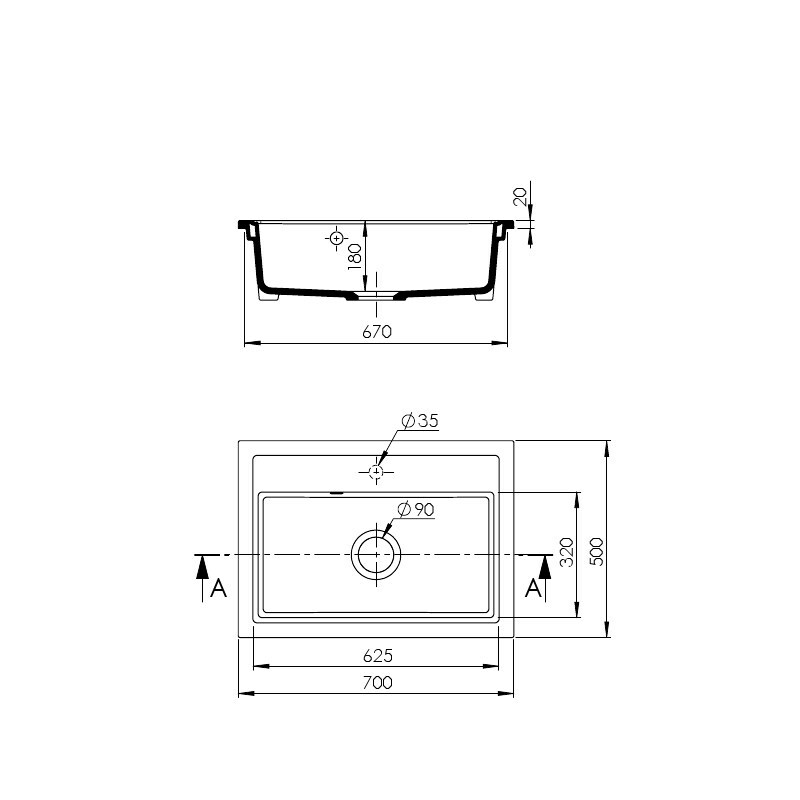 This Sarreguemines built-in sink has dimensions of 700x500x180 mm, making it rather compact and easy to install. In addition, its very clean and white design will allow it to easily match your interior decoration. It is made using enamelled fine-grained, carefully selected quality ceramic and chosen for its physical qualities. It is therefore very resistant to corrosion and the various effects of time, and is not afraid of the use of cleaning chemicals. Its unalterable surface will retain an intact and crisp color. The maintenance of your Sarreguemines Timbre d'Office Pinacle White Sarreguemines kitchen sink is also optimized, as its perfectly smooth architectural surface does not retain impurities and does not turn yellow. His hygiene is also very good. This product is made of a very large tray, spacious enough to accommodate a large number of dishes, and deep to limit splashing. 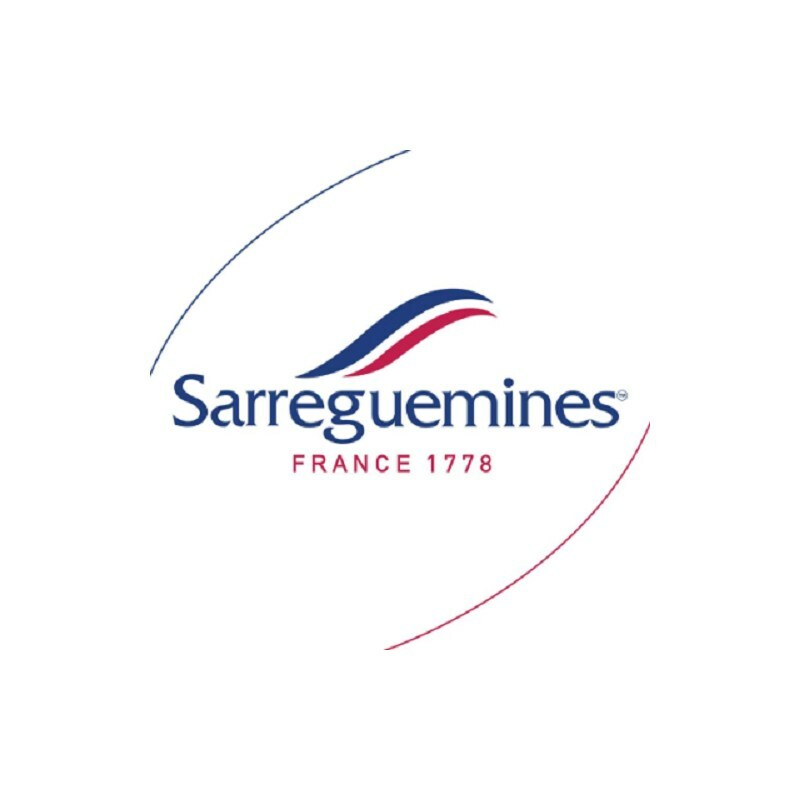 Sarreguemines sinks are guaranteed 100% French manufacturing, and machined by hand with the thoroughness and know-how of professionals in the best raw materials, guaranteeing products of exemplary quality. We use transport partners for the delivery of sinks. We carry out a pallet strapping to avoid any accident of delivery and we assure our merchandise to 100%. The only thing we ask our customers and to check the state of the pallet and all its contents before acceptance of the delivery! If you have any doubt, refuse the delivery and notify specific reservations on the waybill otherwise we will not be held responsible if the goods shows significant damage.